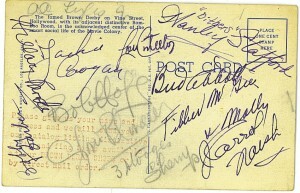 PLEASE CONTACT TRISH HESSEY DIRECTLY AT TRISH@TRISHAUTOGRAPHS.COM OR CALL 909-484-8322 TO PURCHASE AND PRICING. 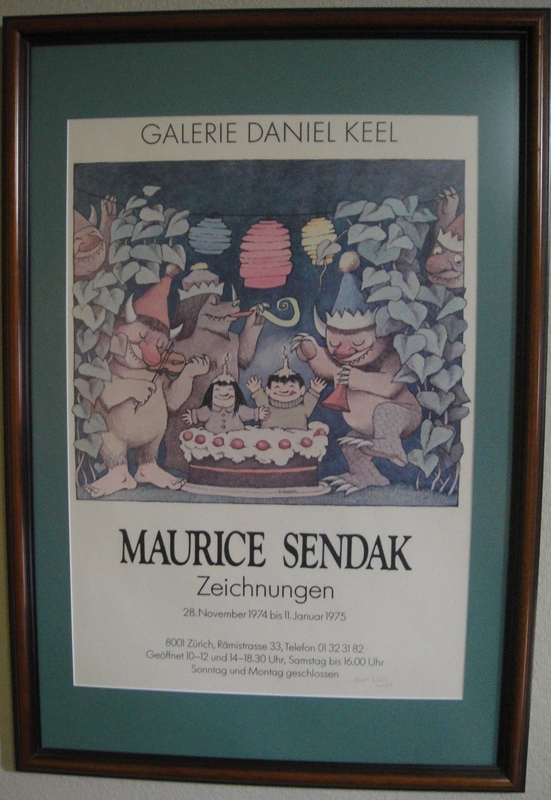 MEASURES 38 BY 26-1/2 INCHES IN BEAUTIFULLY A PROFESSIONALLY MATTED AND WOOD FRAME. 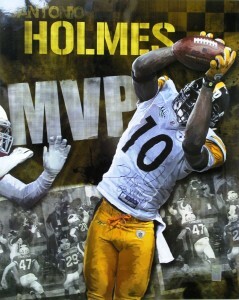 Santonio Holmes, Jr. (born March 3, 1984, in Belle Glade, Florida) is an American football wide receiver for the Pittsburgh Steelers of the National Football League. He previously played college football with the Ohio State Buckeyes. 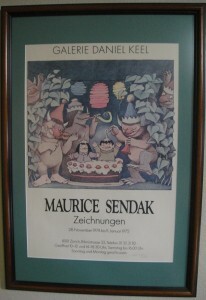 THIS IS A VERY UNIQUE PIECE, VERY COOL TO ADD TO ANY COLLECTION AND A MUST FOR ANY SILENT ERA FAN! Colleen Moore (August 19, 1900 – January 25, 1988) was an American film actress, and one of the most fashionable stars of the silent film era. TALKIES With the advent of talking pictures in 1929, Moore took a hiatus from acting. During this interim, Moore was briefly married to a prominent New York-based stockbroker , Albert Parker Scott, one of her four husbands. She and Scott lived at that time in a lavish home in Bel Air, where they hosted parties for and were supporters of the U.S. Olympic team, especially the yachting team, during the 1932 Summer Olympics held in Los Angeles. In 1933, Moore, by then divorced, returned to work in Hollywood. 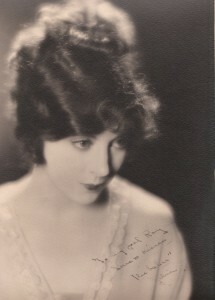 She appeared in three films, none of which were successful, and Moore retired. She later married the widower Homer Hargrave and raised his children (she never had children of her own) from a previous marriage, with whom she maintained a life-long close relationship. 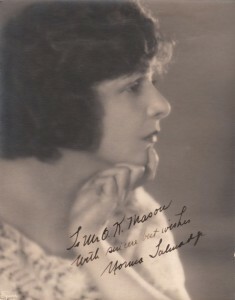 Throughout her life she also maintained close friendships with other colleagues from the silent film era, such as King Vidor and Mary Pickford. MATTE FINISH WITH A RAISED TEXTURE THAT CAN BE SEEN IN SOME OF THE PICTURES PROVIDED, OVERALL EXCELLENT CONDITION AND MEASURES APPROXIMATELY 10-1/2 INCHES BY 13-1/4 INCHES ON VERY STURDY AND HEAVY PAPER. Jobyna Ralston (November 21, 1900 – January 22, 1967) was an American actress of the silent film era. Born Jobyna Lancaster Ralston in South Pittsburg, Tennessee in 1900 to parents who named her after famed entertainer of the time, Jobyna Howland. Jobyna’s mother, a portrait photographer, carefully groomed her daughter for a show business career. At the age of nine she gave her first stage performance in Cinderella during the grand opening of the Wilson theatre/Opera House in 1909. 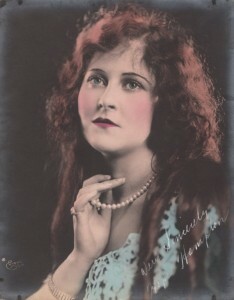 Around 1915, Jobyna attended acting school in New York. She later danced chorus and sang in Broadway productions, her first being Two Little Girls In Blue. This production marked her Broadway debut, when she was 21. 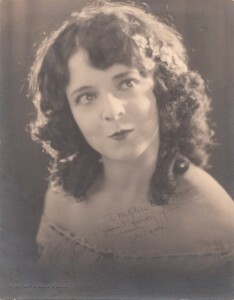 Comedian Max Linder saw her on stage and persuaded her to go to Hollywood, where Jobyna appeared in a number of his films. She also co-starred in Humor Risk (1921), the fabled lost comedy short film that was to be the film debut of the Marx Brothers. Soon director Hal Roach began to star the actress in one-reel comedies. She abandoned the stage for the screen in 1922 when her mother’s health began to decline, and she needed to make more money to help pay the medical bills. 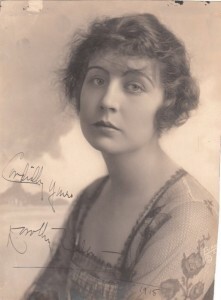 In 1923 she was named by the film industry as one of the WAMPAS Baby Stars. This award was given every year to the top up and coming female stars. This same year she starred with silent comedian Harold Lloyd in Why Worry?, and for the next five years appeared in six of Lloyd’s feature films as his leading lady. Ralston brought both genuine emotional depth and comedic talent to these films. It is for these performances and her onscreen chemistry with Lloyd that she is best remembered today. She would start the trend for romantic comedies with Girl Shy. The chemistry of that film is unmatched. As a freelance actress, Jobyna co-starred with Richard Arlen, in the first Oscar-winning film, Wings (1927). She had a feature role in a film which also featured Clara Bow, Gary Cooper, and Buddy Rogers. She would star in eleven more motion pictures, among them Special Delivery (1927) co-starring Eddie Cantor. Her film career ended after two early talkies when Jobyna became a mother. Her last talkie, Rough Waters (1930), found her acting with Rin Tin Tin. Jobyna was married twice. The first time was to her childhood beau John Campbell, but the marriage did not last. She married actor Richard Arlen in 1927, who she had met on the set of Wings. They had one child, actor Richard Arlen Jr.. Ralston and Arlen divorced in 1945. She spent the last five years of her life suffering from rheumatism and had a series of strokes. She died in 1967 from pneumonia at the Motion Picture Country Home in Woodland Hills, Los Angeles, California. She was 67 years old. VINTAGE ORIGINAL BANK OF AMERICA CHECK FROM THE ACCOUNT OF GEORGE N. BURNS AND GRACE ALLEN BURNS. MEASURES 8-1/4 BY 3 INCHES, EXCELLENT CONDITION. PEARL ALLEN WAS ONE OF GRACE ALLEN’S SISTERS, THIS CHECK HAS A DESCRIPTION ON TOP RIGHT LEDGER THAT THE $15.00 WAS AN ALLOWANCE. George Burns (January 20, 1896 – March 9, 1996), born Nathan Birnbaum, was an American comedian, actor, and writer. His career spanned vaudeville, film, radio, and television, with and without his wife, Gracie Allen. His arched eyebrow and cigar smoke punctuation became familiar trademarks for over three quarters of a century. He enjoyed a career resurrection with a new image as an amiable and unusually active old comedian that began at age 79 and ended shortly before his death at age 100.